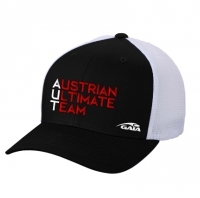 GAIA Europe Collection for Team AUT. Additionally it has a suitable style for everyone. For best comfort and perfect fitting it has the popular adjustable snaps at the back.